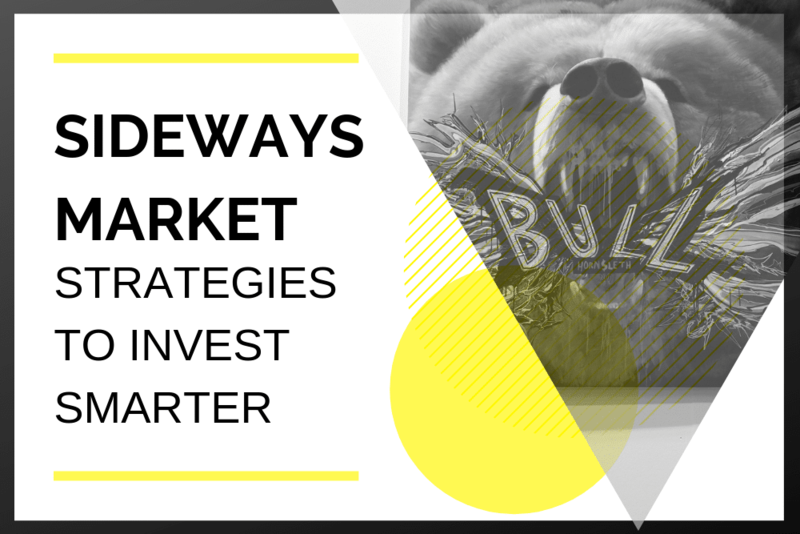 This article on sideways market strategies was written by Net Net Hunter member Bryan Shealy. Bryan worked in the inventory business for 5 years which gives him an edge in net net investing. Article image (creative commons) by Thomas Leuthard, edited by Broken Leg Investing. Q: What is a sideways market? A: A sideways market is a period of market stagnation that lasts at least 10 years. Sideways markets can have periods of bull or bear markets; however, after 10 years, the market has not advanced. I learned some new vocabulary yesterday that got me thinking, how should my portfolio be positioned to take advantage of exotic market inefficiencies? This terminology added a new layer of complexity not often discussed in normal bear or bull market propaganda. What if the market goes nowhere at all? Or enters into what some call a sideways market. Thankfully, my intense study of deep value strategies is good preparation for this interesting market climate. It's never apparent whether you are in a sideways market until you look back. So, how can these strategies protect you during a sideways market and help you take full advantage of market inefficiencies? Who is John Mauldin? Mauldin is a financial expert who specializes in economic history in financial markets. His expertise in finance gives him great insight into how economic history may predict the current market climate. With some tech companies possessing these sky-high valuations today, one can only wonder if we are moving into a period of P/E compression today. So, how can we fight against this and extract value from a sideways market? What drives these ridiculous valuations? Netflix with a P/E ratio of 129 and Nvidia 37 — it seems like the trendy larger corporations receive the most ridiculous valuations, but why is this and should they be avoided? One culprit may be the large passive indexing trend. As Mauldin wrote in The Little Book of Sideways Markets, “Dividends are paid and stock is bought back with cash, not earnings.” In a sideways market, it is important to deploy essential deep value strategies that target an individual company’s value rather than chase dividends. In times of market euphoria, many companies begin to employ senseless buybacks and dividend hikes. This effectively destroys value and leads companies down a path of mediocrity. A senseless buyback here is purchasing shares in your own company when the company is overvalued according to a number of indicators, which might include P/E or book value. A responsible and valuable company will buy back its own stock during times of volatility or P/E contraction, generating a large amount of value for investors. When the bull market fades and the sideways market begins, this is when you will see the truly exceptional companies emerge. Like many investors, I find myself scouring screeners for possible companies to invest in. This is merely a superficial search, as there is much more research that ensues once you have found a few good candidates. About a year ago, I happened upon a dirt cheap company called Verso Corporation. This company was nothing special at all. It was a post-bankrupt company that was saved by a debt-to-equity swap. Even worse, it was in the paper industry — why do we need paper when we all have Kindles and laptops? For all intents and purposes, this was a failing business in an even worse industry. What it did have were some great impending catalysts. A catalyst can take many forms, but to maintain a solid portfolio in a sideways market, it is important to look for a reason the company may surge in the future. A catalyst can include share buybacks, insider buys, a sale of assets or corporate restructuring. Not all catalysts are equal. When analyzing catalysts, you need to decide how likely they are to take place and how much they may impact the company. For example, if an asset sale is so minuscule that it loses money or even increases costs, then it may be detrimental. Another is if a company is buying back shares above the company's intrinsic value. Verso Corporation had quite a few catalysts going for it. It started out by selling expensive assets. These assets included a hydroelectric power plant and one of its underperforming mills. It did not end here — the corporate restructuring gave it the sigh of relief from debt in its debt-equity swap and sale of assets that it began to reduce its costs dramatically. These moves that Verso made allowed it to take advantage of what was to happen next. In a turn of events, the demand for Verso’s product and new specialty papers division allowed it to reap the benefits of a price increase. This price increase then led to a boost in profitability, leading the stock price to soar. Pay Daddy: Cheap asset stocks that pay a dividend. Negative Enterprise Value: The company pays you to buy it! Ultra: Net tangible asset investing. Simple Way 2.0: Benjamin Graham’s final investment criteria. Each one of these strategies shields you from the debt-fueled growth bubble and helps you sidestep losses so you instead profit from a sideways market. They focus on deeply undervalued stocks, not in the purview of major indexes. The defining trait of essential deep value strategies is patience. To be a little bit cliché, just remember good things come to those who wait. No, you don’t need to wait a decade or more — even just a year or two is long enough to know whether any individual stock trade will work out. Recently, Verso stock tanked in price. It dropped below book value again. It would be an understatement to say I wasn't a little bit panicked and confused. How could a company that posted a massive profit turn around and drop by over 15% in price? The answer was not in front of me, nor could it be found anywhere. The only logical explanation was just standard market emotion. Fears began to take hold and for whatever reason, they chose to punish the stock. In these times, it is important to be patient and stay invested. While the markets may act irrationally, the basis for your investment should not change. Mauldin put it best in his book: “A secular sideways market is full of little (cyclical) bull and bear markets” If you are not invested in the market during these short cycles, you may miss out on the biggest market moves and opportunities. 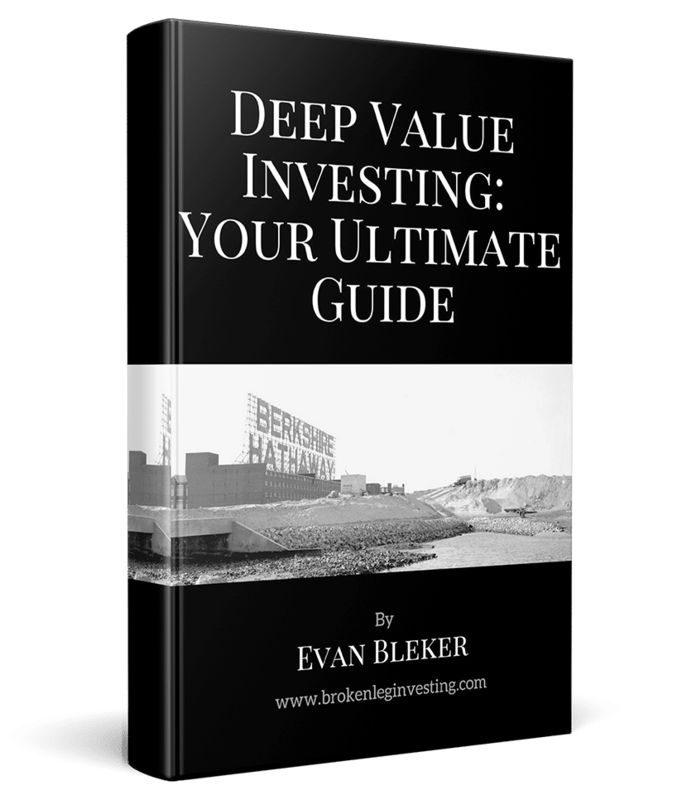 Giving up the search for deep value and staying in cash could mean the difference between an 11% compound annual growth rate (CAGR) and a 5% CAGR. Over the last 10-year investing period, missing out on just 20 days of investing would have cost you that 6%. So armed with this reassuring information from The Little Book of Sideways Markets, I will continue to hold on to my investment. As long as the underlying value of the stock remains the same, the price will catch up. With interest rates rising, this will give cash-heavy value stocks the opportunity they need to shine. Individual stocks will likely fluctuate much more in price according to how much debt they hold. A lot of the information discussed above can be difficult to find in a highly valued market. I’m tired of playing by these rules and just sitting and waiting for my portfolio to take the inevitable hit. The good news is you don’t have to play by these rules. You can go international. Large investment firms threaten the American stock market landscape and gobble up all of the small dirt cheap companies. These don't leave much for the individual investor. The international market increases your pool for selection to build an incredibly cheap portfolio. You also don’t have to rely on the cyclical nature of the US stock market or fear the long-term sideways market — instead, you can continue to extract amazing value. Sideways markets can be emotionally testing. It can be an incredibly painful experience to realize amazing gains while invested in the market, only to see those gains evaporate completely. While a sideways market essentially moves neither up or down over a period of time in which they occur, there are small cycles of bear and bull markets; during these times, it’s important to identify catalysts in undervalued stocks and remain patient for the eventual upswing. Don’t get too greedy, though, since flat markets can change directions at any time, wiping away any gains you may have experienced. The Broken Leg Investment Letter can help you develop strategies to navigate the turbulent cycles of a sideways market. This entry was posted in Deep Value Strategies and tagged deep value investing, deep value strategies, Sideways Market. Bookmark the permalink.